Kedah (/ˈkeɪdɑː/; Malay pronunciation: [kəˈdɑh]; Jawi: قدح), also known by its honorific Darul Aman or "Abode of Peace", is a state of Malaysia, located in the northwestern part of Peninsular Malaysia. The state covers a total area of over 9,000 km², and it consists of the mainland and the Langkawi islands. 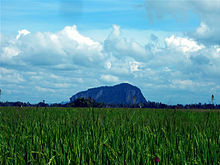 The mainland has a relatively flat terrain, which is used to grow rice, while Langkawi is an archipelago, most of which are uninhabited islands. "Kedah Aman Makmur Harapan Bersama Makmurkan Kedah"
Kedah was previously known as Kadaram (Tamil: கடாரம்; kadāram) by the ancient and medieval Tamil people, Kataha or Kalahbar (Arabic: قتح‎; qataḥa or Arabic: قلحبر‎; qalaḥbar) by the Arabs, and Syburi (Thai: ไทรบุรี; RTGS: Sai Buri) by the Siamese when it was under their influence. Candi Bukit Batu Pahat of Bujang Valley. 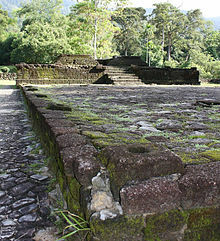 Archaeological evidence found in Bujang Valley (Malay:Lembah Bujang) reveals that a Hindu–Buddhist kingdom ruled ancient Kedah possibly as early as 110 A.D. The discovery of temples, jetty remains, iron smelting sites, and clay brick monuments dating back to 110 A.D shows that a maritime trading route with south Indian Tamil kingdoms was already established since that time. The discoveries in Bujang Valley also made the ancient Kedah as the oldest civilisation of Southeast Asia. In the 7th and 8th centuries, Kedah was under the loose control of Srivijaya. Indian and Arab sources consider Kedah to be one of the two important sites during the Srivijaya period, often calling the king of the straits "the ruler of Srivijaya and Kataha". In 1025, Rajendra Chola, the Chola king from Coromandel in South India, captured Kedah in his invasion of Srivijaya and occupied it for some time. A second invasion was led by Virarajendra Chola of the Chola dynasty who conquered Kedah in the late 11th century. During the reign of Kulothunga Chola I Chola overlordship was established over the Sri Vijaya province Kedah in the late 11th century. According to Hikayat Merong Mahawangsa or the Kedah Annals, Kedah was founded by a Hindu king named Merong Mahawangsa. According to the text further, the Sultanate of Kedah started in year 1136 when King Phra Ong Mahawangsa converted to Islam and adopted the name Sultan Mudzafar Shah. However, an Acehnese account gave a date of 1474 for the year of conversion to Islam by the ruler of Kedah. This later date accords with an account in the Malay Annals where a raja of Kedah visited Malacca during the reign of its last sultan seeking the honour of the royal band that marks the sovereignty of a Muslim ruler. It was later under Siam, until it was conquered by the Malay sultanate of Malacca in the 15th century. In the 17th century, Kedah was attacked by the Portuguese after their conquest of Malacca, and by Aceh. In the hope that Great Britain would protect what remained of Kedah from Siam, the sultan handed over Penang and then Province Wellesley to the British at the end of the 18th century. The Siamese nevertheless invaded Kedah in 1821, and it remained under Siamese control under the name of Syburi. In 1896, Kedah along with Perlis and Setul was combined into the Siamese province of Monthon Syburi which lasted until transferred to the British by the Anglo-Siamese Treaty of 1909. Menara Alor Setar is the tallest tower in Kedah. Like most parts of Malaysia, Kedah is home to various languages and dialects. The majority language of Kedah is Kedah Malay, known natively by locals as Pelat Utagha (Northern dialect), it is a distinct variety of Malay which also serves as the state's main lingua franca and is used by almost all Kedahans regardless of race. Kedah Malay has many sub-dialects which differs from district to district and is also spoken outside of its boundaries such as Penang, Perlis, northern Perak and even as far as Satun in Thailand and Tanintharyi in Myanmar. Besides Kedah Malay, another distinct variety of Malay known as Baling Malay (Cakak Baling) is mainly spoken in Baling district as well as some parts of Sik and Yan districts. Baling, along with Grik Malay is part of Reman Malay, an offshoot of Kelantan-Pattani Malay of which it was descended from the people of the Kingdom of Reman of which once ruled the Baling and Grik regions before it was dissolved and became part of three distinct political entities namely Kedah, Perak and Yala (Thailand). Besides Malay, there are also various minority languages spoken throughout Kedah, Aslian languages such as Jahai, Kensiu and Kintaq are spoken by the small Orang Asli populations mostly in the inland region. The Chinese in Kedah also speaks various varieties of Chinese such as Mandarin, Hokkien (majority), Teochew, Cantonese and so on. There are also a small but well established Indian community mostly of ethnic Tamil and Punjabis and also smaller number of Telugus who speak their own respective languages. Kedah is also home to a large community of ethnic Siamese of which it has its own distinct dialect of the Thai language which is different from ones spoken in Kelantan (which also has a large Siamese population) and Standard Thai. As of 2010 the population of Kedah is 77.2% Muslim, 14.2% Buddhist, 6.7% Hindu, 0.8% Christian, 0.6% unknown / none, 0.3% Taoist or Chinese religion followers, 0.1% followers of other religions, and 0.1% non-religious. Statistics from the 2010 Census indicate that 94.3% of the Chinese population are identified as Buddhists, with significant minorities of adherents identifying as Christians (2.4%), Chinese folk religions (2.4%) and Muslims (0.4%). The majority of the Indian population are Hindus (91.7%), with a significant minorities of numbers identifying as Christians (3.7%), Muslims (2.4%) and Buddhists (1.3%). The non-Malay bumiputera community are predominantly Christians (39.7%), with significant minorities identifying as Muslims (26.9%) and Buddhists (26.3%). All Malays are Muslims. The Sultan of Kedah is the constitutional ruler of the State. His position is hereditary and he holds office for life. The Ruler is the head of the religion of Islam in the State and the executive power of the state government is vested in him. The current Sultan is Tunku Mahmud Sallehuddin, who has reigned on September 12, 2017 after his elder brother Abdul Halim of Kedah died on September 11, 2017. A paddy field in Kedah. More recently, Kedah has forged its economy towards the automotive and aerospace industries with Modenas and Asian Composites setting up bases here. One of the main advantages is the low labour costs and the infrastructure in place with the North–South Expressway and the Penang International Airport close by. In 1996, the Kulim Hi-Tech Park was officially opened as the first high technology industrial park in Malaysia. The Park comprises a total land area of approximately 14.5 square kilometres (5.6 mi²). This state also has several secondary islamic schools such as Tahfiz Model Ulul Albab or TMUA. Chio Min Secondary School, Kulim, Kedah. Consists of several private and public primary school or secondary school. Public secondary school such as SMK Taman Jelutong, Keat Hwa Secondary School, Convent Secondary School (Formerly known as St. Nicholas Convent Secondary School), Kolej Sultan Abdul Hamid, Sekolah Menengah Kebangsaan Sultan Badlishah, Sin Min Secondary School, Chio Min Secondary School, SMK Sultanah Asma, SMK Convent Father Barre, SMK Khir Johari, SMK Aman Jaya, SMK Bedong, SMK Bakar Arang, SMK Darulaman, SMK Ibrahim, K Jit, SMK Mahsuri, SMK Tunku Panglima Besar, Keat Hwa Secondary School, SMK Guar Chempedak, SMK Yan etc. 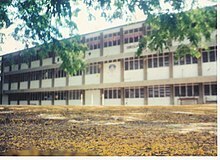 Private secondary school such as Keat Hwa High School, Sin Min High School and SM Sin Min. In 2006, Kedah hosted the 11th Sukma Games. The opening and closing ceremonies were held at the Darul Aman Stadium in Alor Setar. Football is the most favorite sport in kedah as well as sepak raga. Kedah FA is a professional football team in Malaysian that represent the state of Kedah and under the supervision of Kedah Football Association. Kedah FA currently play in the Malaysia Super League, and they are the only team in the history of Malaysian football to ever achieved a double treble titles in 2006–07 and 2007–08 seasons. ^ a b "Laporan Kiraan Permulaan 2010". Jabatan Perangkaan Malaysia. p. 27. Archived from the original on 8 July 2011. Retrieved 24 January 2011. ^ Cyril Skinner, The Civil War in Kelantan in 1839, Kuala Lumpur: Monographs of the Malaysian Branch, Royal Asiatic Society, 1965. ^ "Asia Research News – USM discovers earliest civilisation in Southeast Asia". Researchsea.com. 10 March 2010. Retrieved 2 February 2014. ^ "Kadaram and Kataha". Sabrizain. Retrieved 2 February 2014. ^ "R.O Winstedt – ''History of Kedah'' – Extracted from No. 81 Straits Branch of the Royal Asiatic Society (SBRAS), March 1920" (PDF). Retrieved 2 February 2014. ^ I-Tsing (2005). A Record of the Buddhist Religion As Practised in India and the Malay Archipelago (A.D. 671–695). Asian Educational Services. pp. xl–xli. ISBN 978-81-206-1622-6. ^ "Early Malay kingdoms". Sabrizain.org. Retrieved 21 June 2010. ^ Winstedt, Richard (December 1936). "Notes on the History of Kedah". Journal of the Malayan Branch of the Royal Asiatic Society. 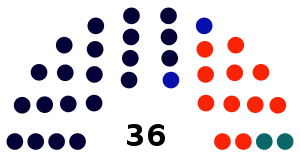 14 (3 (126)): 155–189. JSTOR 41559857. ^ R. Bonney, Kedah 1771–1821: The Search for Security and Independence (1971), Ch. VII. ^ "Laporan Kiraan Permulaan 2010". Jabatan Perangkaan Malaysia. p. iv. Archived from the original on 8 July 2011. Retrieved 24 January 2011. ^ a b "2010 Population and Housing Census of Malaysia" (PDF). 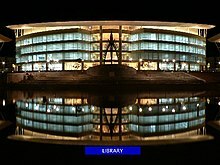 Department of Statistics, Malaysia. p. 13. Archived from the original (PDF) on 11 October 2012. Retrieved 17 June 2012. ^ "2010 Population and Housing Census of Malaysia" (PDF) (in Malay and English). Department of Statistics, Malaysia. p. 84. Archived from the original (PDF) on 16 January 2013. Retrieved 17 June 2012. ^ State News Archived 29 November 2014 at the Wayback Machine. Bernama.com.my (18 August 2005). Retrieved on 27 September 2013. ^ Archives | The Star Online[permanent dead link]. Thestar.com.my (26 April 2008). Retrieved on 27 September 2013. ^ NCER To Push Up Kedah's Agriculture, Industrial, Tourism Sectors. Bernama.com (16 July 2007). Retrieved on 27 September 2013. ^ "Alor Setar Tower". Tourism Malaysia. Archived from the original on 19 May 2014. Retrieved 19 May 2014. ^ "Bujang Valley Archaeological Museum, Bukit Batu Pahat". Tourism Malaysia. Archived from the original on 19 May 2014. Retrieved 19 May 2014. ^ "Pekan Rabu". Tourism Malaysia. Archived from the original on 19 May 2014. Retrieved 19 May 2014. ^ "Tree Top Walk Sungai Sedim". Tourism Malaysia. Archived from the original on 19 May 2014. Retrieved 19 May 2014. ^ "Ulu Legong Hot Spring". Tourism Malaysia. Archived from the original on 19 May 2014. Retrieved 19 May 2014. ^ "Zahir Mosque". Tourism Malaysia. Archived from the original on 19 May 2014. Retrieved 19 May 2014. ^ "Langkawi given geopark status". The Star Online. 8 June 2007. Archived from the original on 9 September 2007. Retrieved 5 December 2009. ^ "Langkawi Island". Tourism Malaysia. Retrieved 19 May 2014. Wikimedia Commons has media related to Kedah.